I’m so glad you dropped by. I invite you to sit back, relax and allow the stories, quotes and messages you find on this site to feed your mind and soul. You are about to travel along a path that will lead you to all that you wish to experience in your life. The possibilities are endless! 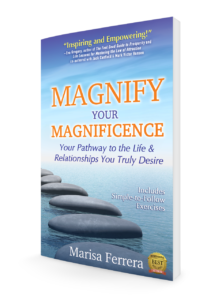 Scroll down to learn more about how my #1 International Best Selling book called, “Magnify Your Magnificence: Your Pathway to the Life & Relationships You Truly Desire” was created and how you can get your copy. Sending you love and blessings. After spending several years and thousands of dollars on programs and workshops focused on how to build a successful online business, I was feeling frustrated, discouraged and uncertain about what direction to take in my life. I knew I wanted to share my gifts and talents in a way that would have a positive impact on the lives of others, but I didn’t know how to do this. In spite of all the programs I invested in, I was going in circles and just couldn’t figure out what to focus on and how to best move forward. It was at that time that I stopped in my tracks and made a conscious decision to let go of trying to figure it all out and I surrendered. I asked God, my Higher Self, guides and angels, to show me what direction to take. I made it clear that I wasn’t going to take another step until I felt guided to do so. Within a few days, I started receiving messages in the middle of the night that I recorded on my computer. I went through periods of doubt, wondering where these messages were coming from and whether or not I could trust them. There were days and weeks when no messages came. I noticed that regardless of how much time passed between receiving each message, one flowed into the next, creating a step by step guide for remembering who we are by letting go of who we are not. Since I didn’t go back to read past messages before recording a new one, this gave me more confidence that I wasn’t making all of this up and it must have come from the Spiritual Realm. Exactly where, I’m not sure but what I do know is that the messages are profound and can be life changing. In October of 2016, I published a book with 28 powerful messages that I received over the course of several months. 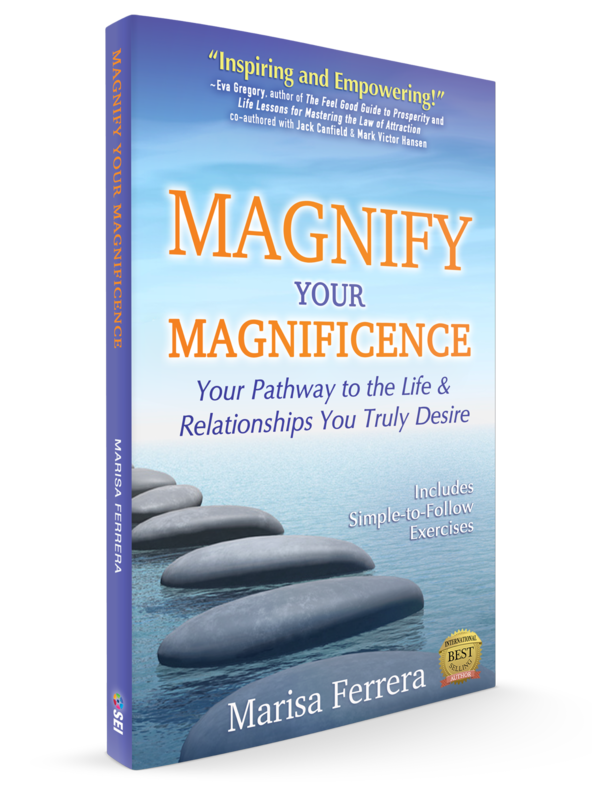 The book, “Magnify Your Magnificence: Your Pathway to the Life & Relationships You Truly Desire,” is available in both digital and paperback formats. I’ve received many more messages that are not part of the book and I continue to receive messages that I wish to share with you through my Blog. 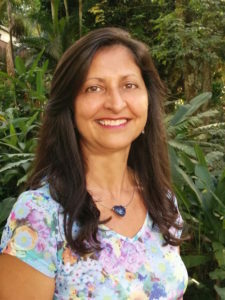 In addition to these “Messages From the Light,” I will share videos, quotes and articles that are uplifting and inspirational and that can support you in experiencing more peace, love, joy and abundance in your life. Below each blog post will be a note from me called, “Marisa’s Musings” where I’ll share my personal thoughts and reflections on each post. I invite you to share your thoughts and reflections as well by posting them in the comment section below the posts. Feel free to post any questions you have and I will personally answer them. You have everything you need inside you to create your dream life. Once you tap into this infinite Source, your life will never be the same. The information and resources you’ll find here are designed to support you in remembering the Truth about who you REALLY are…a Magnificent Being of Light capable of so much more than you have been led to believe. As you uncover this Truth, you will also begin to release limiting beliefs, doubts and negative patterns that keep you stuck in places where you don’t want to be. You didn’t come to this page by accident. There’s a part of you that drew you here in this moment in time. Now that you’re here, allow what’s shared in each post to penetrate your entire being. Embrace each message and let the words fill you with Light and Hope, for it’s never too late for you to fulfill your heart’s desires. I’m so delighted that you’re here and I believe that as we each take a stand and confidently Magnify our Magnificence, we can not only create our dream life but we can also create our dream world! I’ve received many more messages that are not part of the book and I continue to receive messages that I wish to share with you through this Blog. In addition to these “Messages From the Light,” I will share videos, quotes and articles that are uplifting and inspirational and that can support you in experiencing more peace, love, joy and abundance in your life. Below each post will be a note from me called, “Marisa’s Musings” where I’ll share my personal thoughts and reflections on each post. I invite you to share your thoughts and reflections by posting them in the comment section below the posts. Feel free to post any questions you have as well. Start Creating Your Dream Life Today! Make sure to look inside the book for my special bonus offer!